104 carats, colorless D, Internally Flawless, Brilliant Round Cut with Excellent Cut Grade. It took 3 years to cut & polish this 104 carats diamond from a 507.55 carats diamond rough piece and it has been given a inscription number 20090950755, chosen to signify the recovery date (2009/09) and the carat weight (507.55) of the rough diamond discovered in Southern Africa. 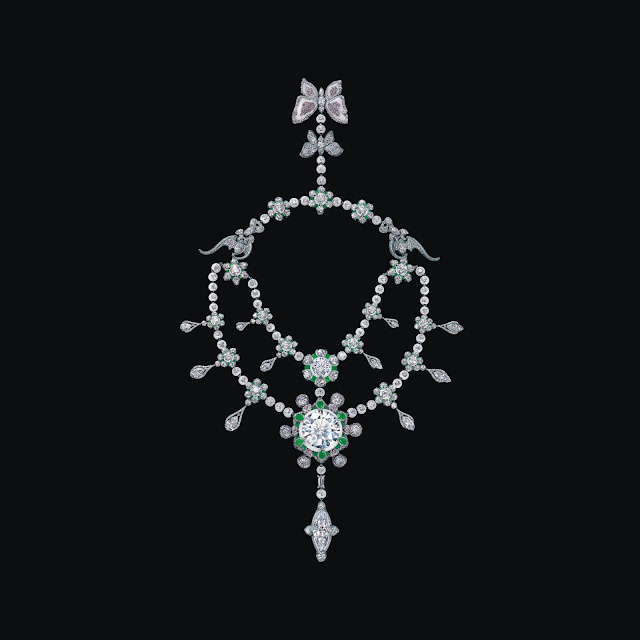 It has now been set as the centerpiece of a necklace designed by Wallace Chan, world renowned designer, which can be worn in 27 different ways!